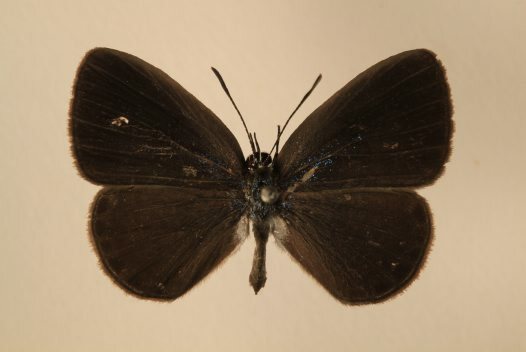 Niue has an endemic butterfly (one found nowhere else in the world) known as the Niue blue. It was discovered by Gold Coast school teacher and butterfly collector Rob Lachlan in December 2009. The discovery of Nacaduba niueensis surprised the scientific community as the flora and fauna of the Pacific Islands has been well researched by numerous scientists over many decades. But it does mean that Niue now has a national butterfly. Lachlan caught a single male, small, blue butterfly from a flowering tree on his 2009 visit. 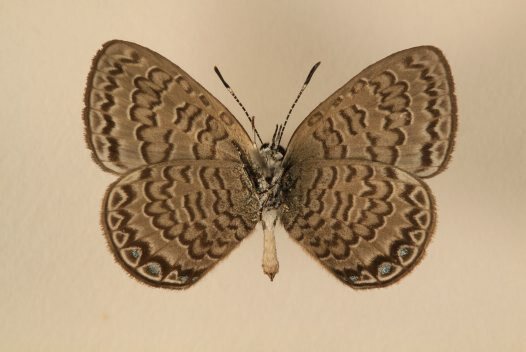 Unsure of what it was, he discovered on his return to Australia that it was an undescribed species, similar to a single female butterfly had been collected 30 years earlier. Because there are only a handful of plant and animal species unique to Niue, this butterfly has particular importance to the people of the island. But only two specimens in 30 years suggests that the species might be very rare. Lachlan, who has discovered many new species of butterflies and hawk moths over the years and published numerous scientific papers, is a Fellow of the Royal Entomological Society of London in 1984 and a Research Associate of the Australian Museum’s Entomology Department. He hopes to return to Niue one day to see if he can find the Niue blue elsewhere on the island. In the meantime, the only two examples of the species are being cared for by the Australian Museum on behalf of the people of Niue. The male was captured by Rob Lachlan and the female comes from the collections in the Bishop Museum, Hawaii.